If Genesis is the book of origins, then the garden of Eden is the first grain of sand to fall through the hourglass of time. It is a microcosm of God's intention for mankind. It shows us a passionate and creative God who desires someone like Himself, someone to relate to. Parents adore their first child and fill scrapbooks and photo albums with "baby's first . . ."
Have you ever considered that Adam was God the Father's first child? Have you ever meditated on the kind of relationship that God desired to have with mankind or wondered what it means to be created in His likeness and in His image? Have you ever imagined what it would be like to walk and talk with the Lord, face to face, without the sin barrier? 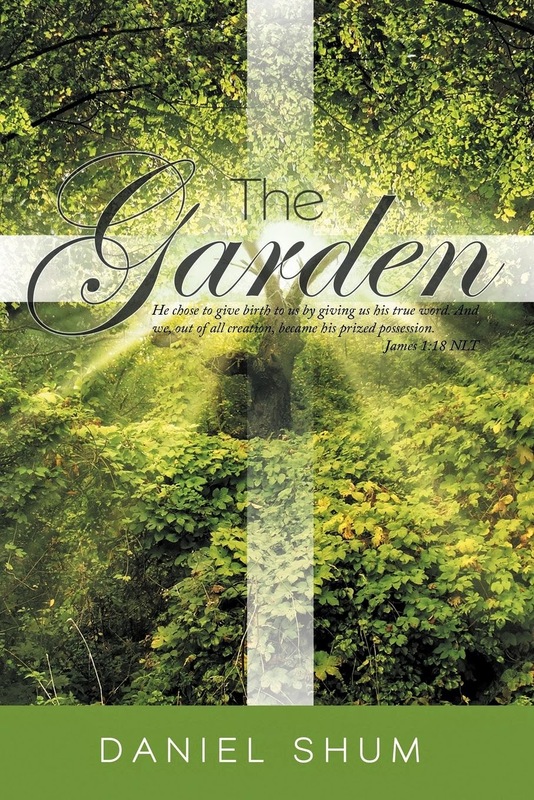 The Garden explores that place, that time, where the most passionate heart in the universe prepared a garden as a habitation and a place of fellowship for His first son and daughter. Daniel is passionate about studying and teaching the Word of God. Even from his youth in the farmlands of north central Kansas, he began writing daily devotions and teaching the Bible in youth group at the small Baptist church he attended with his family. A perfect afternoon for Daniel is to be alone on a hillside or by a stream with his Bible, guitar, and notepad. Daniel Shum resides in Springfield, Missouri with wife, Alicia, and daughter, Rebekah. 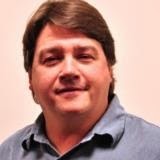 He has served as a lay youth pastor for seven years at Fountain of Life Christian Fellowship and has also served as the worship leader for fifteen years. "He Chose to Give Birth to us by Giving us His True Word. And We, Out of all Creation, Became His Prized Possession." Daniel Shum's The Garden is a short, easy read (novella size) that eloquently touches the surface of what the experience in the book of Genesis could have been like. He takes the elements of what is provided in text and transforms them into an exquisite painting of re-telling the Creation Story. His rhythmic style of interpretation will captivate and interact with the reader as though they are reading a candid book of poetry. The Garden is rich in content and provides a remarkable artistry of what it must have been like to be right there with God in the beginning of Creation. I loved how smoothly the text flowed together and how in depth the author developed the interpretation of events. It causes the reader to see the book of Genesis in a different light, allowing them the opportunity to become engaged with Adam and Eve and their relationship with God. It guides the reader to understand God's intentions as not only the Creator, but the Father as well. There were several points I found intuitive and made me stop to consider the extent of interaction God wants to have with us as his children. The only true point I found that I wasn't partial to was in the Prelude where everything is referred to as the Word, the Sacred One, and the Will. I liked the idea of this, but it became a little confusing and probably would have served better further in the text so the reader doesn't feel intimidated from the start. Other than that, I thought this was a great book. It reminded me a lot of The Shack or Redeeming Love, not in content, but in the sense that it brought the bible to life in a way that readers can relate to. If you are looking for a fresh perspective on the book of Genesis and to experience a candid view of events that could have happened in the Garden of Eden, then you will love this book. Daniel Shum's style of writing is fluid and easy to understand, making this a great book to add to your collection!